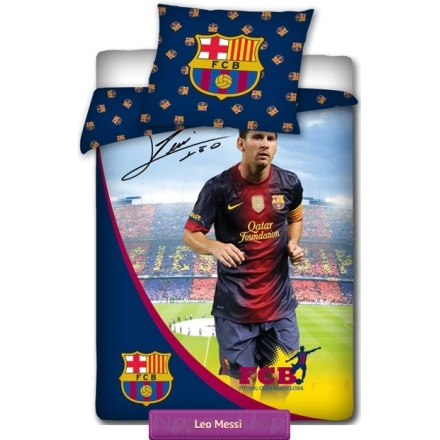 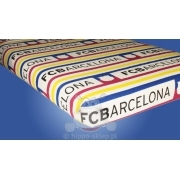 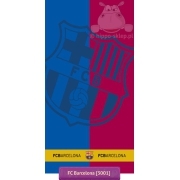 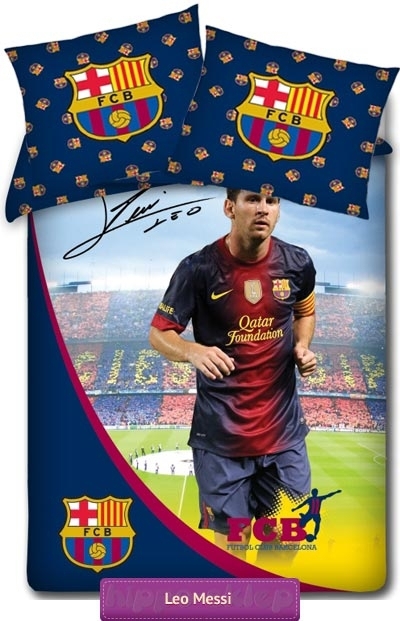 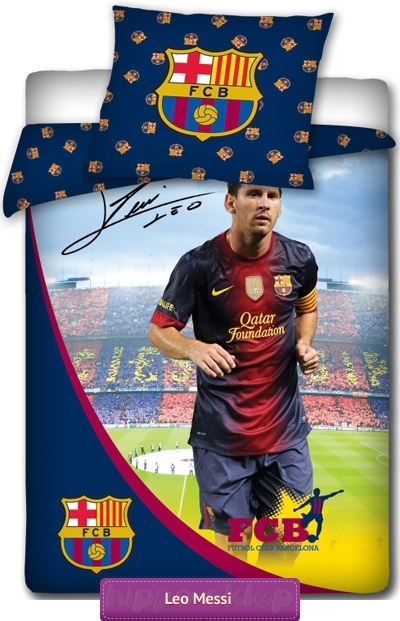 Bedding FC Barcelona Messi 2 original licensed children bedding set for boys an football fans with FC Barcelona player Leo Messi. 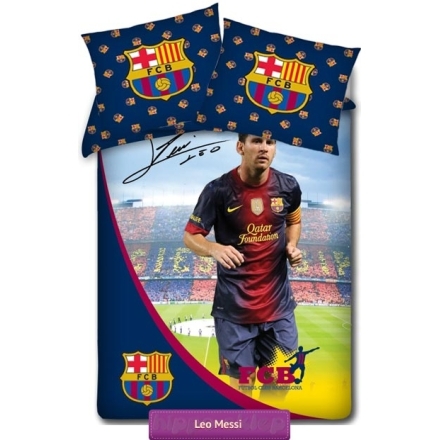 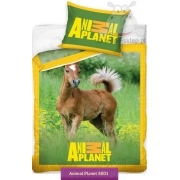 Bedding set contains single duvet / quilt cover size 140x200 cm or 160x200 cm and one pillowcase 70x80 cm size. 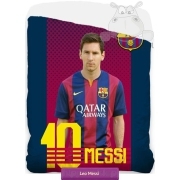 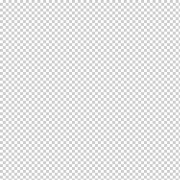 100% cotton (smooth), closing by zip, certified according to OEKO-TEX 100 safety rules.